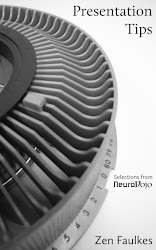 NeuroDojo: When does authorship stop meaning anything useful? Including undergraduates as co-authors in an interesting trend that I've noticed a fair amount recently. This eLife article http://www.ncbi.nlm.nih.gov/pubmed/25919952 lists 2853 "collaborators" when you click on the article & author info tab. I think quite a few of those are undergrads also but not sure. I have high school student co-authors in some cases...but in all cases they are substantively contributing to the work (usually in working on some component of the overall project, and writing drafts of portions of the manuscript). So, I don't think it's necessarily a bad thing to have student authors, but it requires some thought and effort from senior supervisors. "this one has 2,932 authors." Even if every author fixed a few typos , imagine how long it would take to enter all of those edits! Or discard them because you've already corrected it. Even with tracking in Word that would take forever. how do you add such a paper to Mendeley? !